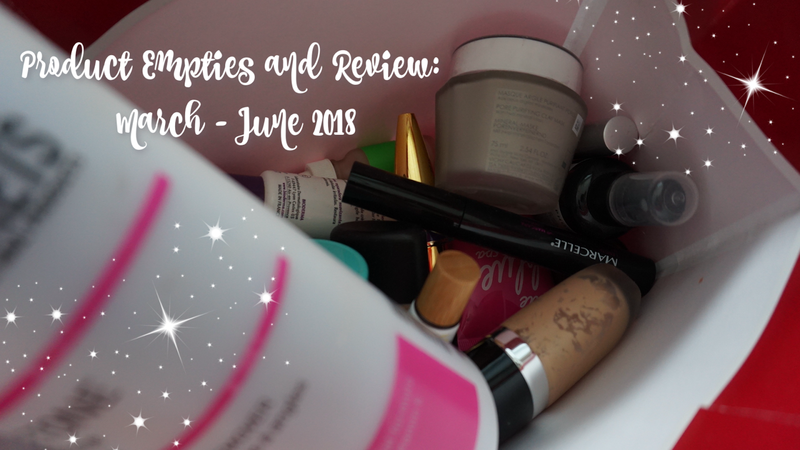 It's time to round up some of the products I've used up in the last 3 months and I've sorted them into categories below - skincare/bodycare, foundations/primers/concealer, mascaras, misc and makeup. Keep on reading below to see what I will repurchase again and what I really enjoyed. 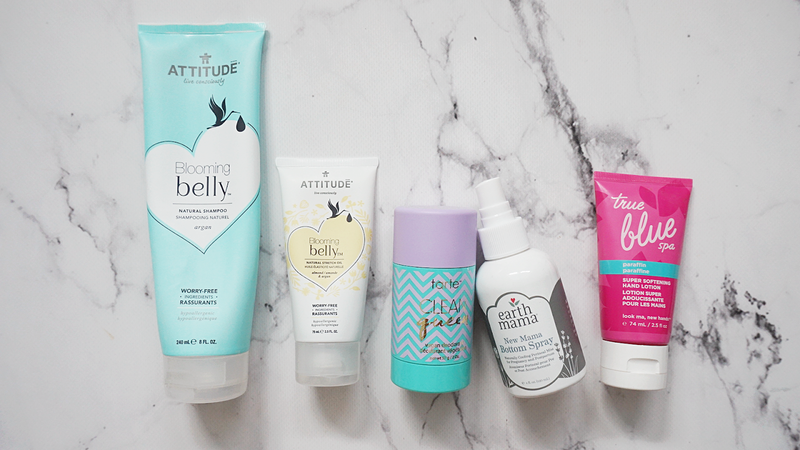 Attitude Blooming Belly Shampoo - I was using this constantly throughout my pregnancy and really enjoyed how it made my hair feel clean and refreshed without feeling guilty of not knowing whether it contained ingredients I shouldn't be using. I would recommend this to any mommy to be! Attitude Blooming Belly Stretch Oil - I applied this a few times a week and did not develop any stretch marks. I used this in conjunction with Bio Oil (on days I didn't use one I used the other). It is almost petroleum jelly like in texture, so it provides great hydration and you feel it on the skin. I like to apply it after my showers before bed. Tarte Clean Queen Deodorant - I also used this throughout my pregnancy and having sensitive armpits, it was great that this did not irritate my armpits or cause any ingrowns or rashes. Will repurchase for sure. Earth Mama New Mama Bottom Spray - now known as Herbal Perineal Spray - I went through two bottles of this and even wrote a blog post about it, I would definitely recommend this to mommy to be! Read my blog post here if you're interested in the review - I truly believe that this sped up my recovery from the perineum tearing. True Blue Spa - Look Ma, New Hands - This was a great product, I used this during my at-home manicures and it made my hands feel ultra soft and hydrated. I have since found a new hand lotion that I love, which is the Zoya Naked Manicure - however if you're looking for something at a more budget price, the True Blue is great! Korres Greek Yogurt 3-in-1 Cleansing Emulsion - I used this during my pregnancy to remove my make-up and it did a great job. It kept my skin hydrated because of its cream-based formula and was gentle enough. It did not irritate my skin and the scent is so subtle it didn't create any adverse effects. I recommend this to those with sensitive skin as well! 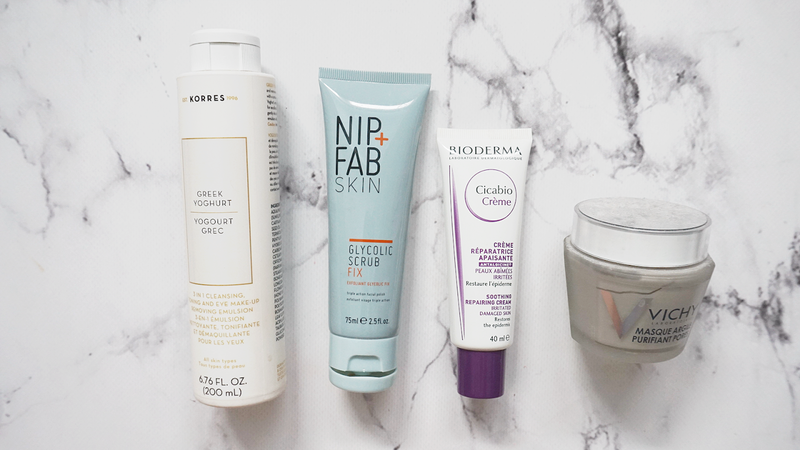 Nip + Fab Skin Glycolic Scrub Fix - This was a great scrub - it has ultra fine yet coarse (in a good way) exfoliating particles. It really made you feel like you were sandpapering (again, in a good way) your face of all dead skin and clogged pores. The glycolic acid component also worked to give a radiance to the skin and worked to even it out and clarify it. I would definitely repurchase this! Bioderma - Cicobio Skin Irritation Creme - I used this when I had cuts and skin irritations like eczema flareups and such. I had this for so long that I had to throw it away even though it was only half used. You only had to apply a thin layer to the affected area and it really sped up the recovery process. Will repurchase for sure! Vichy Pore Purifying Clay Mask - I have previously written about this product on the blog before and I really enjoyed using it. I always applied this to my t-zone and nose area (my oily areas) or on upcoming zit pop-ups! It worked so well in pulling out excess oils and the gunk to the surface. It balanced the oil production on my nose and helped to keep my black heads at bay. Once I stopped using this I could see my black heads slowly coming back. Marc Jacobs Genius Gel Foundation - I so wanted to like this foundation but it just didn't work for my oily/combination skin. It was too hydrating and dewy that it made me look like an oily mess by mid day. I could make this work during the winter time when my skin typically gravitates to the dryer spectrum but I generally prefer having a product I can use throughout the year. Clinique Superbalanced Silk Foundation - This gave me me a medium coverage (something that I typically save for more special occasions). 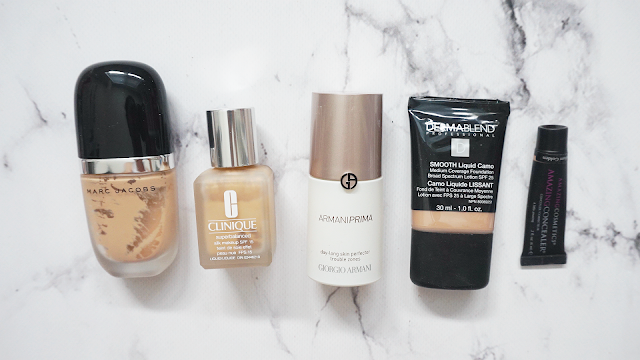 I normally use a sheer to buildable light weight foundation. This did work well to make my skin look airbrushed and flawless. My nose did get a bit oily by mid-day but my t-zone area was okay. I will most likely try other foundations before I revisit this one. Dermablend Smooth Liquid Camo Foundation - This is a coveted product for those who love a high coverage foundation. It covers all imperfections and can even cover tattoos on the skin. It's a truly remarkable product. Again, as I am a light weight foundation user, this was too heavy for me but I liked to mix it in with my regular foundations for a bit more coverage on days that I wanted it. Dermablend has a setting powder that I can't live without... it's soooo good! Amazing Cosmetics - Amazing Concealer - This is actually my second purchase of this product as it is a great concealer! It does go bad rather quickly, I was only about half done but it smells off - so if you plan on buying this, use it quick! It's also a bit pricier than normal concealers but a little goes a long way and it provides high coverage. It's thick in consistency so I like to warm it up on the back of my hand and apply with my fingers and then dab with the beauty blender. Maybelline Colossal Big Shot Mascara - This isn't my favorite Maybelline mascara but it did a great job, my favorite from Maybelline will still have to be Lash Sensational! Avon True Color Supershock Volumizing Waterproof Mascara - Avon creates great formulations for mascaras, with great wands. I don't remember trying something I didn't like! This worked well to separate the lashes and lengthen it. 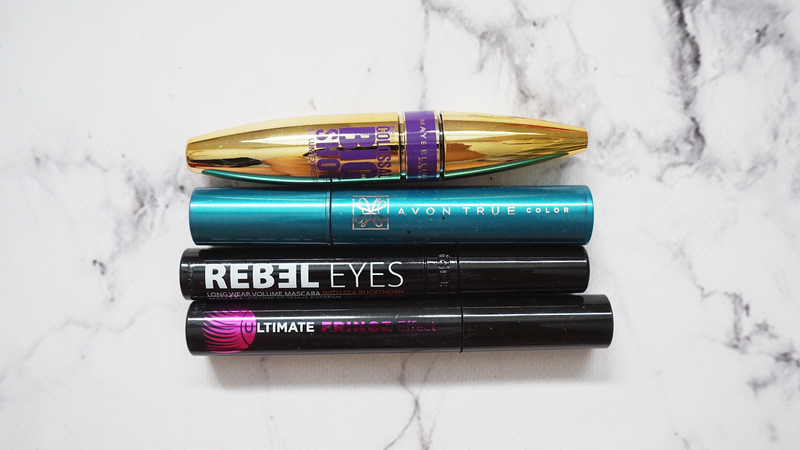 GOSH Rebel Eyes Mascara - I liked this mascara alot but sadly I can't find it at Shoppers Drug Mart anymore, they stopped carrying the brand. It worked to lengthen and add volume to my lashes and was pitch black. Marcelle Ultimate Fringe Effect Mascara - This was a great mascara as well - I like how it seperates and lengthens my lashes while curling it. Marcelle creates some of the best mascaras in the drugstore. 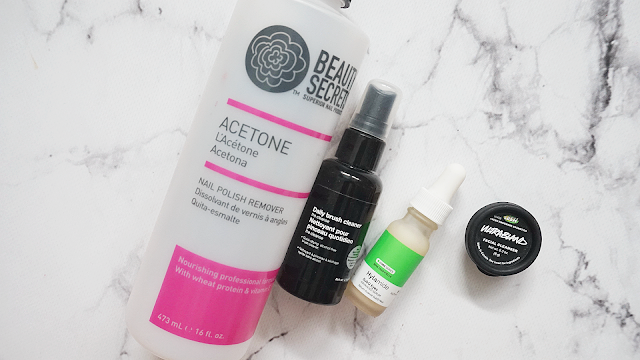 Beauty Secrets Acetone - I think this is my third bottle of Acetone that I buy from Sally Beauty. It contains Vitamin E and Wheat Protein to keep the nail hydrated and prevents the cuticles from drying out. Wth it being Acetone it gets rid of the most stubborn polish effortlessly as well and this is great value, at I believe under $5 Cad (don't quote me on this, I have used the current bottle for so long and I bought it a while back) but it is on the US site for under $3 USD. I will continue to repurchase this for sure! Sephora Daily Brush Cleaner - This is also a repurchase for me, I believe its my third bottle? and I have a backup as well. I prefer this formulation over the aerosol one from Sephora. It works well to spot clean the brushes in between the deep clean ones and it also conditions my brushes and keeps them soft. It is also quick to dry as well. Will continue to repurchase it. Deciem Hylamide SubQ Eyes - This is a light weight serum in texture product for the under eyes to help with dark circles and wrinkles/puffiness. I really liked the weightless feel of this product that absorbed really quickly on the skin. I have tried eye creams in the past that sits on the skin or is so rich that it causes milia on the skin - this does not do it. While I do not have wrinkles and cannot speak to that, it did help with the puffiness in the mornings. It didn't cure my dark circles but it didn't get worse. 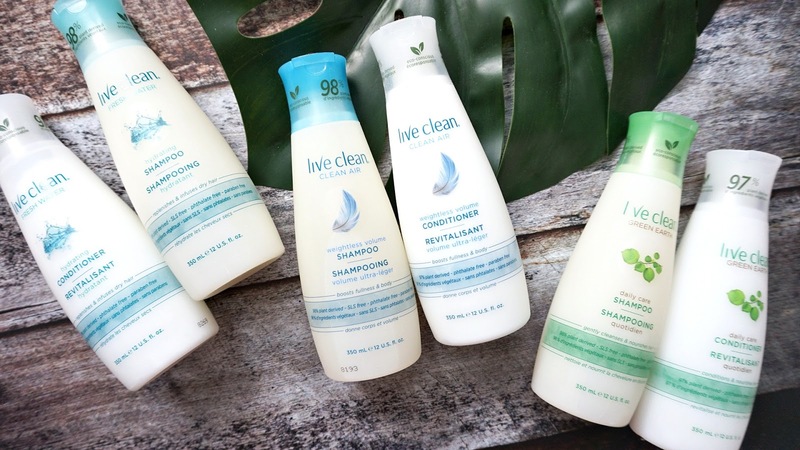 LUSH Ultrabland Cleanser -I like to use this on days that I have heavier makeup. I smooth it onto my face directly and massage it to remove the product and then wipe off. 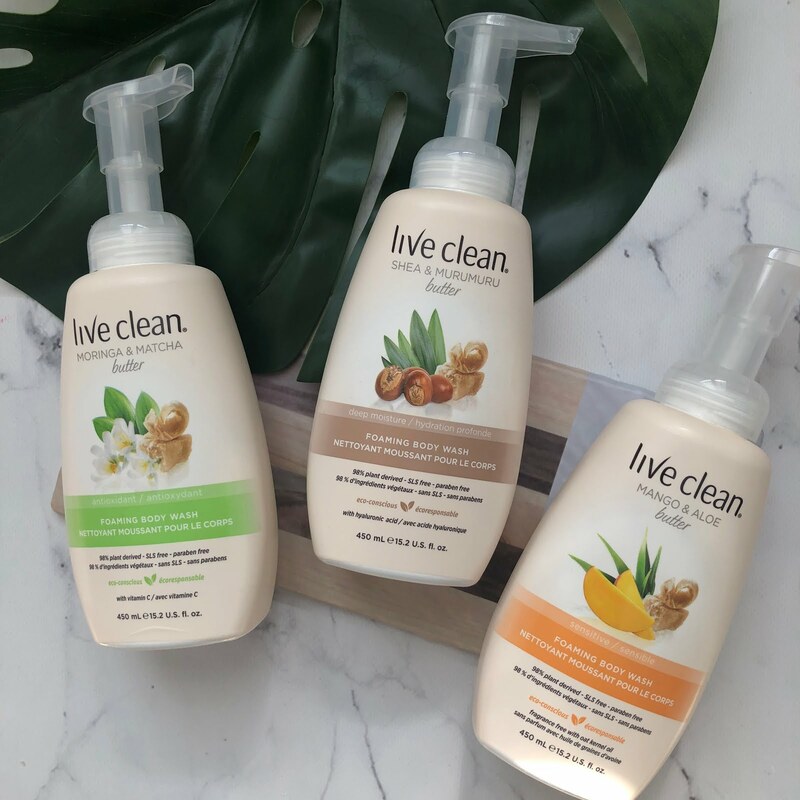 I follow up with an additional cleansing of the skin with soap but the Ultrabland does a great job already with removing the make-up on the skin while having the essential oils leaving it feel soft and hydrated, smelling great. I will for sure get to buying a full size bottle soon as this was a sample that lasted me about 3-4 times. 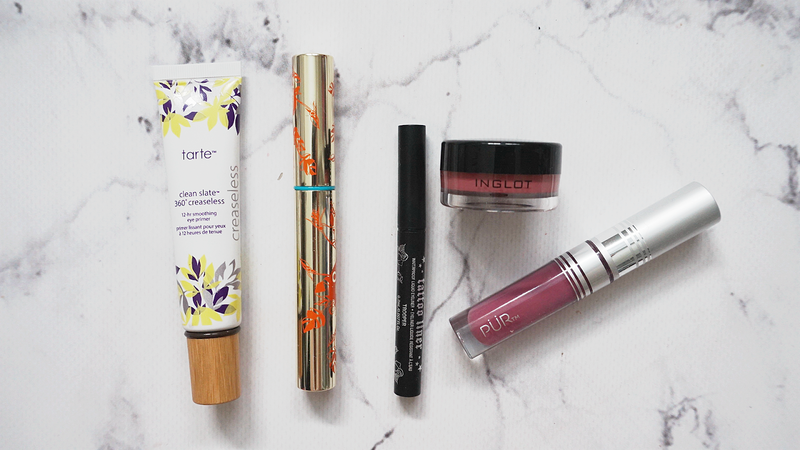 Tarte Clean Slate 360 eye primer - This primer works well on the lid to make eyeshadows pigmented and adds to the staying power. I'm not sure if I will repurchase this just yet as there are so many on the market right now. TEEEZ Cosmetics Cloud Nine Liquid Eyeliner (Electric Aqua) - If you're looking for a great teal/turquoise metallic liner, this one is for you. It's opaque, pigmented and is beautiful. Too bad I rarely have the opportunity to wear something so bold or else it will be a continued repurchase. KVD Tattoo Liquid Liner (Trooper) - this was my go-to liner for a long time, but since then I've found a replacement that I've been using that I love which is the Fenty liquid liner or the Clio Kill Black liner. INGLOT AMC Cream Blush - Great cream blush, works well and a little goes a long way. I've had this for so long (about 3 years) and I barely made a dent. I'm parting ways with it because it's just been so long it's the right thing to do. Though I enjoyed this product, I will repurchase this later on as blushes are my weakness and there's just so many more I want to try out first. PUR Velvet Matte Liquid Lipstick - I really enjoy the almost whipped feeling of this liquid lipstick. One layer is all that is required and it is not streaky in application nor does it dry and flake off. I will eventually get to repurchasing some more colors! Have you tried any of the products mentioned above? I'd love to hear your thoughts on anything you've used up and like/love! it delivered such a beautiful even streak of liquid with the thin brush... i only had to dip in once to the barrel to line the upper lid and then dipped one more time just to get enough product on the brush to create a wing.